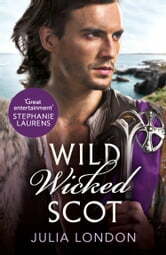 Wicked intrigue unfolds as an unlikely marriage leads to a path of risky desire in the lush, green Scottish Highlands. Born into riches and groomed in English luxury, Margot Armstrong didn't belong in a Scottish chieftain's devil-may-care world. Three years ago she fled their marriage of convenience and hasn't looked back—except to relive the moments spent in wild, rugged Arran McKenzie's passionate embrace. But as their respective countries' fragile unity threatens to unravel, Margot must return to her husband to uncover his role in the treachery before her family can be accused of it. Red-haired, green-eyed Margot was Arran's beautiful bride. Her loss has haunted him, but her return threatens everything he has gained. 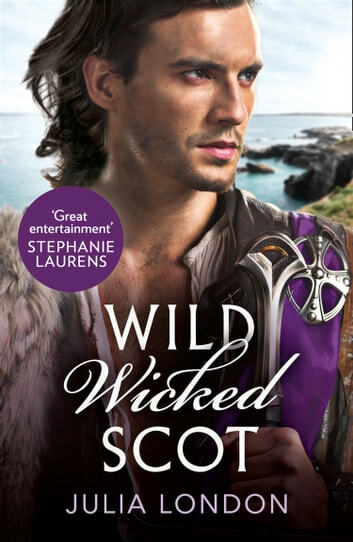 As the Highland mists carry whispers of an English plot to seize McKenzie territory, he must outmaneuver her in games of espionage…and seduction. But even as their secrets tangle together, there's nothing to prevent love from capturing them both and leading them straight into danger.